Well, you’re not wrong. Your sales, marketing and service efforts benefit greatly from being incorporated into and managed through a CRM. But beyond these “big three,” there are lots of ways you could be using your CRM. That’s why we prefer to call them XRMs. They can manage all kinds of relationships, not just the ones you have with your customers. So let’s make sure you’re getting the most out of your XRM. With all the rules and regulations covering the privacy and security of data, it is more challenging than ever to handle data change tracking and compliance. If you’re dealing with multiple, disparate systems, the headache is more like a migraine. In some scenarios, compliance is required by law and involves tracking who has made changes to your data. It becomes necessary to restrict who has permissions to see specific data. Now combine that requirement with all your organization’s other unique security and tracking needs, and the costs to support these features in a custom system really add up. But skimping on safety and security could lead to disaster and a PR nightmare . . .
Have no fear. 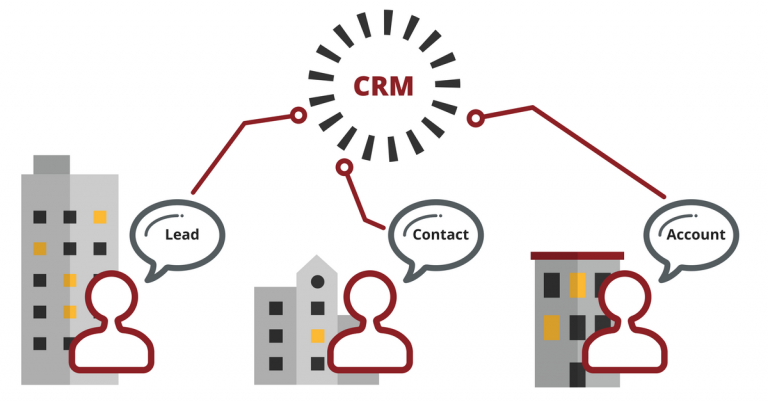 CRM is here! The modern CRM has built-in features to accommodate both data change tracking and data security. This usually includes limiting who can access data using roles, entity-level security, form security, and field-level security. Auditing can also be easily turned on or off at the entity and field levels. A primary issue with auditing is performance and storage. All that extra data tracking eats up CPU time and disk space. That’s why many CRM systems allow you to audit specific entities or fields to help you manage tracking needs while maximizing performance and storage. Whether you are running a membership organization or a service business, you have customers and clients that depend on you. To provide efficient and effective support, you need to listen to those customers. CRM offers a few ways to do exactly that. Are you interested in the timeliness of your service, the performance of your customer service team, or just overall customer satisfaction? Each of these can be tracked and monitored using built-in CRM features and/or add-on survey collection and business intelligence tools. Your CRM can be configured to send and receive surveys automatically based on workflows and triggers you define. While there are many external survey products, leveraging one built specifically for your CRM helps you reduce costs, simplifying maintenance and support by eliminating redundancies. Using email integration and predefined routing rules, your CRM can quickly convert customer requests into work tasks, getting them the help they need sooner. Your customer has an issue. They send an email to your support team late on a Friday. The support team may see that email Monday afternoon, after everybody has put out their Monday morning fires, someone thinks to check the mailbox and then redirects the issue to the proper person/team. What if your CRM captured that email immediately when it arrived, evaluated it for specific details, generated a service case, assigned it to the proper team’s queue, AND triggered an email reply to the customer with a case number included for reference? Yeah, a CRM can make all of that happen. Automatically. A case is being worked by a service representative. They need to exchange emails with a customer, but since they do this via another application (e.g. Outlook), the email is not associated with the case. Another service representative begins working the case with no idea that Service Rep #1 is on it. The email chain is lost; efforts are needlessly duplicated. When you use your CRM for email tracking, every email gets flagged and catalogued appropriately. All from/to communication is automatically chained and tracked to the originating case. No more lost emails or missed information. “Disparate systems” are the bane of business. Many organizations end up with disparate software systems because of cost limitations, ownership changes, mergers, legacy development, siloed departments. . . The list goes on. By using CRM as the core/hub of all your business processes, you simplify data security and customizations, eliminating redundancy and silos, all while contributing to company-wide cost reductions. Work: It’s not just for the office anymore. If you and your team need to “go mobile” – and if that requires working with a legacy system – a potentially ugly cost/benefit analysis is imminent. The modern CRM system is typically suited for, or lives in, the cloud already. Most elements of CRM applications can be easily customized to be mobile-ready. Many vendors provide mobile apps or interfaces that seamlessly support CRM security and configurations. What’s Your Favorite Unsung CRM Use? I’ve been working with CRMs (and their predecessors) for a long time now, and I’m still discovering new uses. I chose to present these six lesser-known gems because they’re some favorites I’ve picked up along my journey. I love to see clients’ eyes light up when they realize how one of these is going to revolutionize the way they work. Do you have a new use for me? I collect them, so don’t hesitate to reach out and enlighten! If you’re relatively new to the brave new world of CRMs, several big vendors offer solutions: Microsoft, Salesforce, Zoho, Oracle and SAP, just for starters. CRMs now come in so many different flavors, there really is something for everyone – every budget, organization type and size. But we understand the options can be dizzying. If our MINDs can help you begin or continue your CRM journey, you know where to find us. Tom Smelser is a proud Maryland native. He’s lived in Pasadena, Annapolis and Arnold, so he clearly has an affinity for being surrounded by water (on three sides, at least). Tom credits his high school business teacher, Mrs. Groff, with setting him on his career path. She taught a computers-in-business class that even included some basic programming, and “she made it fun!” His earliest exposure to technology bred Tom’s “IT for business” bent, and he realized early on that he preferred practical, applicable tech to esoteric programming. “I’d rather develop a spreadsheet that makes one person’s life easier than bang out reams of code in an ivory tower,” he jokes. As a CRM Solutions Architect, Tom has found his holy grail for helping people via technology. He’s always excelled at creating solutions to business problems, but now, instead of taking months to build a custom application, CRM platforms let him do it in weeks. As Tom puts it, “CRM does a lot of the CRUD work for you,” and couldn’t we all benefit from a little less crud in our lives?